This blog piece by guest blogger, Dr. Kim Van Orden, on behalf of Section 2 addresses psychologists’ role in preventing suicide in older adults. Kim Van Orden is an Assistant Professor in the Department of Psychiatry at the University of Rochester School of Medicine. She is a clinical psychologist and her research addresses the role of social connectedness in the etiology and prevention of late-life suicide. She completed her doctoral studies at Florida State University with a focus on suicide prevention and a completed a NIMH-sponsored T32 fellowship at the University of Rochester School of Medicine with a focus on late-life mental health and suicide. She is currently granted a career development award from NIMH to study the psychosocial mechanisms whereby a behavioral intervention reduces suicide risk in older adults. Kim also maintains an active clinical practice providing cognitive behavioral therapy, problem solving therapy, dialectical behavior therapy, and interpersonal psychotherapy to older adults. I’m a clinical psychologist who specializes in late-life suicide prevention. In my opinion, late-life mental health does not get enough attention given the rising number of older adults in the US population. Today, I’m going to address one aspect of working with older adults—late-life suicide prevention—in the service of helping all psychologists, whether they specialize in geropsychology or not, to become more comfortable with this key issue. Members of the Society of Clinical Geropsychology (Division 12, Section 2), are engaged in research and promotion of best practices for late-life suicide prevention. I will share some of what we have learned with you here. Suicide among older adults is a far more common occurrence in the United States than among youth, and worldwide older people are the group with highest rates of dying by suicide. The highest rates in the U.S. are among white men aged 85+, with over 4 times the nation’s overall rate. Older adults are likely to use firearms and to die on their first attempt. While having a prior attempt remains a strong risk factor for suicide death in later life, most older adults who die by suicide will not have had a previous attempt. A constellation of risk factors converges to place an older adult at elevated risk: psychiatric illness (primarily depression), functional impairment, physical illness (particularly multiple comorbidities), social disconnectedness (including social isolation, loneliness, family conflict, and feeling like a burden on others), and pain. The greatest risk occurs when multiple domains of risk converge in a given individual. For psychologists working in primary care, it is important to assess for depression in older clients, and if depression is present, to assess for suicide ideation. For psychologists working in a behavioral health clinic, it is important to assess for the presence of current and past suicide ideation in all older patients and to regularly assess for the development of suicide ideation, just how a physician regularly and consistently checks blood pressure. 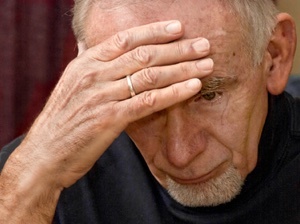 Older adults may be less likely to disclose depression and suicide ideation, perhaps in part due to cohort differences as well as personality traits present in some older adults, including low openness to experience; thus, directly and routinely inquiring about suicide risk is a key aspect of late-life suicide prevention. Regarding treatment: Treating depression to remission, as well as addressing other risk factors such as functional impairment, pain, and social disconnectedness, are key components of suicide prevention in later life. Recommended psychotherapies for older adults with suicide ideation include: Problem Solving Therapy, Interpersonal Psychotherapy, and Dialectical Behavior Therapy (including Dr. Lynch’s adaptation called “Radically Open DBT” which was originally developed for older adults). Consult a colleague or supervisor who has advanced training in geropsychology. I hope this information is helpful to you as you work with older adults! Below, I offer some resources and recommended readings for learning more. Conwell, Y., Van Orden, K., & Caine, E. D. (2011). Suicide in older adults. The Psychiatric Clinics of North America, 34(2), 451-468. Fassberg, M. M., van Orden, K. A., Duberstein, P., Erlangsen, A., Lapierre, S., Bodner, E., . . . Waern, M. (2012). A systematic review of social factors and suicidal behavior in older adulthood. International Journal of Environmental Research and Public Health, 9(3), 722-745. O’Riley, A. A., Van Orden, K. A., & Conwell, Y. (2014). Suicide ideation in late life. In N. A. Pachana & K. Laidlaw (Eds. ), The Oxford Handbook of Clinical Geropsychology: International Perspectives. Oxford, UK: Oxford University Press.